Letter No. SO(Trg)7-29/2017 is issued by Government of the Punjab School Education Department dated 17-05-2018 about departmental appeal under section 21 of Punjab civil servant act 1974 for setting aside /withdrawal of impugned order dated 19-05-2017. 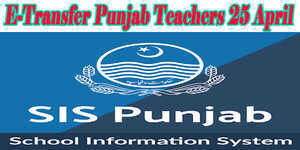 It is directed to state that the following Ex-District Teacher Educators on behalf of all Ex-DTEs in Punjab filled a departmental appeal before the secretary school education department against this department’s notification no. SO(SE-IV)3-84/2016 dated 05-05-2017 wherein the posts of teacher educator, District Teacher Educators, Data entry operator, Junior Clerk, Driver and Naib Qasid of DTSCs and CTSCs were abolished on account of discontinuation of Continuous Professional Development CPD Program and also repatriation order /letter no. SO(Trg)2-23/2015 dated 19-05-2017. · Mr. Allah Bakhash, Mr. Muhammad Mehboob Ahmed and Mr. Muhammad Shahid Akram Ex-DTE District Rahim Yar Khan. It is therefore directed to ask you to join applicants (Ex-DTEs) in their respective pay scales and initiate PEEDA proceedings against the charge of absence from duty against the DTEs who did not join duties against their respective pay scales under intimation to this department at the earliest.